ANOTHER EPISODE OF SHAMELESS PLUGGING, PROMOTION, GOOD MUSIC, AND COMEDY…AT LEAST TO US. 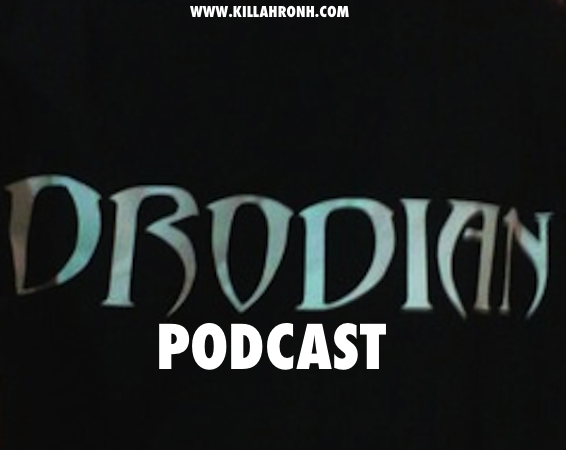 WE DISCUSS THE UPCOMING PROJECTS FOR THE DRODIANS, MY AUDITION FOR THE VOICE, CALL FLAMETHROWERS RADIO AND SPEAK WITH THE INFAMOUS “BIG TWIN”, TALK TO SNEEK ROTHSTEIN, TRY TO CONNECT TO MCWHITEOWL,JOKE STEALERS,KANYE RAGE,EHWHENKEEM,THE POTCAST, AND MORE. LISTEN…YOU MIGHT LEARN SOMETHING.